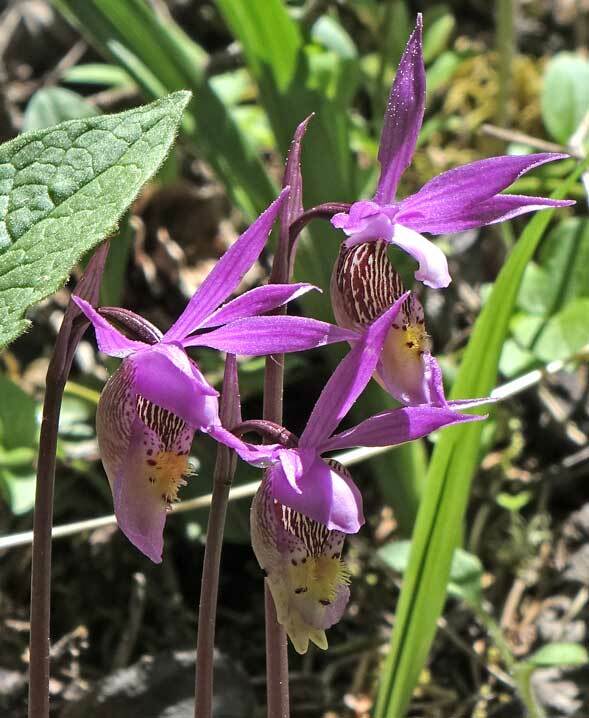 Also see Corallorhiza maculata, Epipactis gigantea, Cypripedium parviflorum, and Green Orchids. 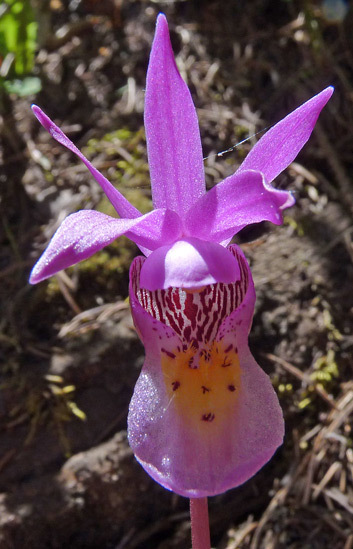 Click for Scotty Smith's "Orchids of Colorado". 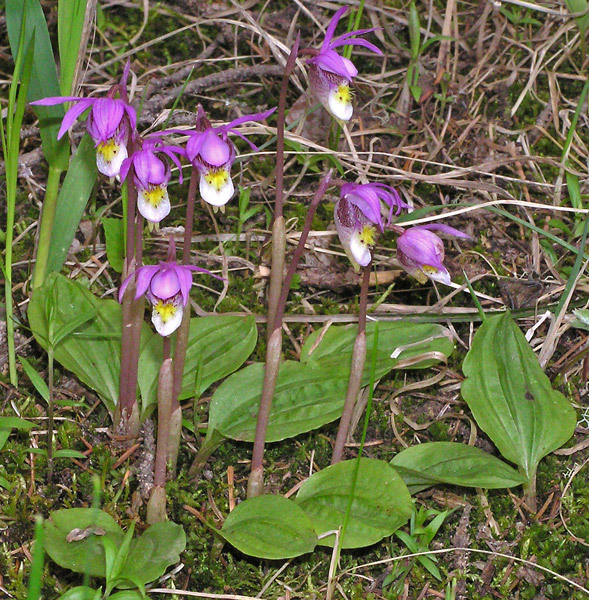 Calypso Orchids are quite difficult to spot among the other plant life of the forest floor. 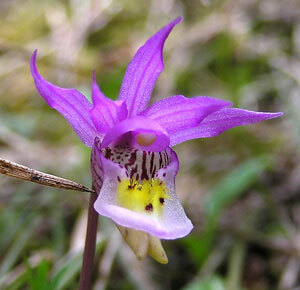 The Orchids are very slender, have only one basal leaf, and although the plants do sometimes occur in patches by the dozens, they often grow singly and scattered. 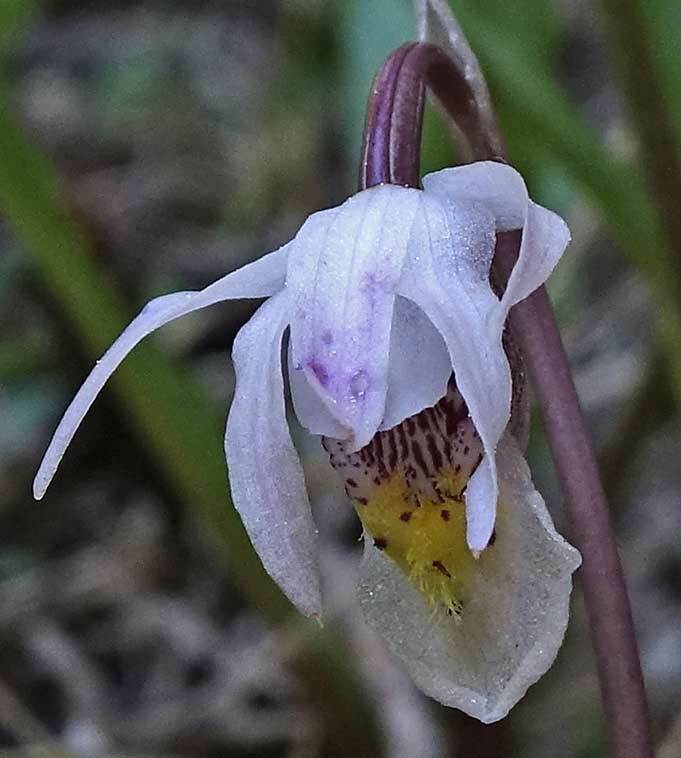 Calypso bulbosa's marvelous symmetry, contrasting magentas, whites, yellows, and purples, and overall delicate flamboyance are haunting and make this species a favorite of many plant lovers. 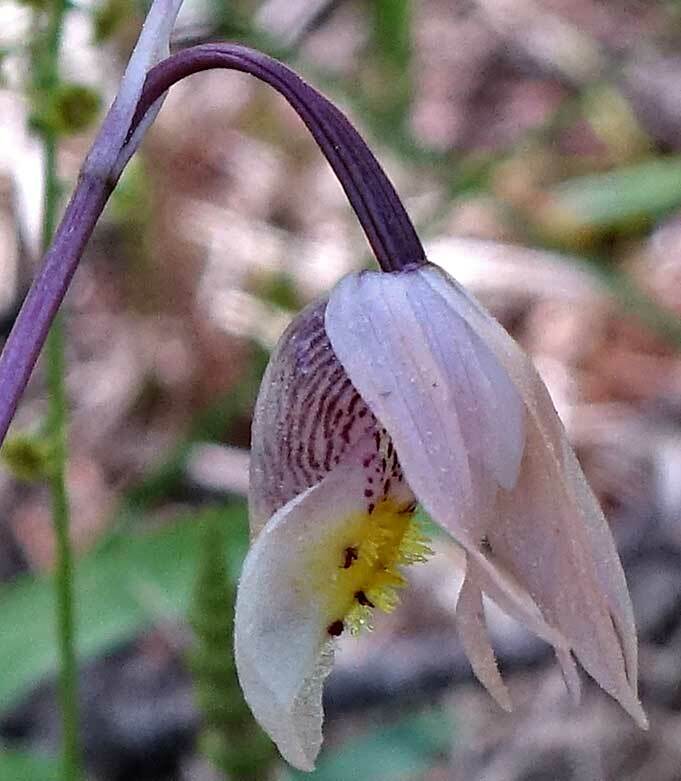 Sepals and petals combine various shades of pink, violet, white, and even creamy orange. 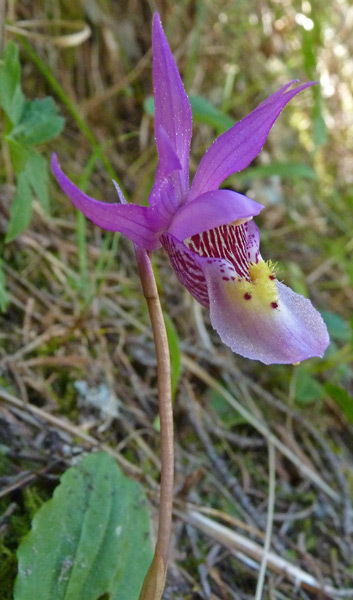 The second photo at left shows Calypso bulbosa in bud, just a few days before bursting open in beauty. 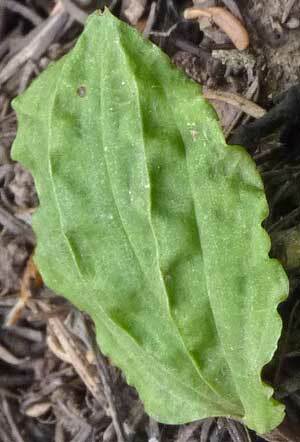 The photographs immediately below show that basal leaves from the moist winter and spring of 2016 are a turgid, chlorophyll rich green but those following the drought winter and spring of 2012 are a flaccid, chlorophyll starved yellow/green. 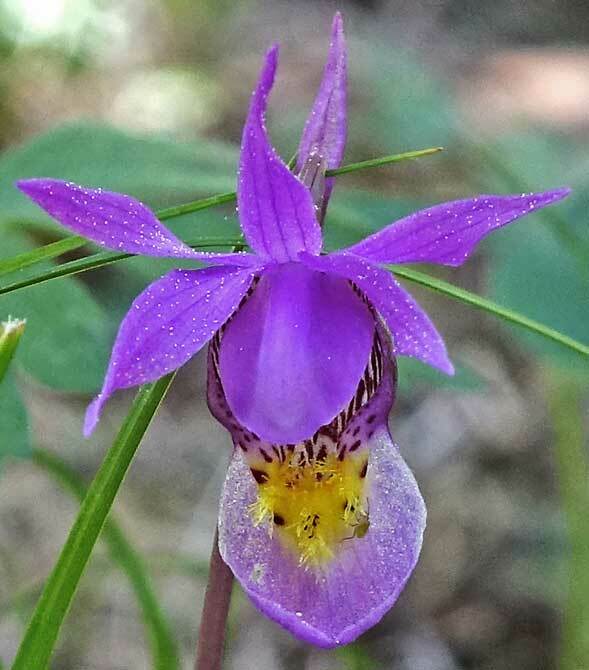 This wonderful Orchid is found in all Western U. S. states and along the northern tier of states as one heads East. 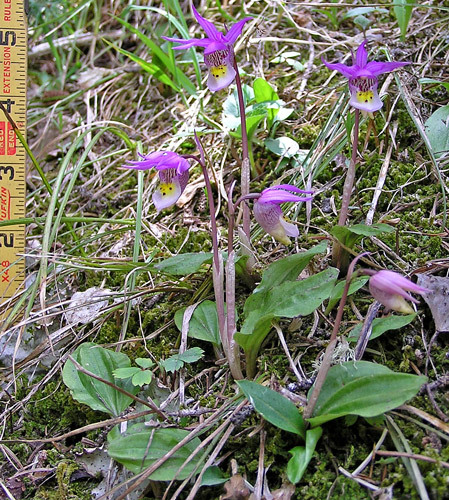 It is also found in Eurasia and was first collected in Siberia. 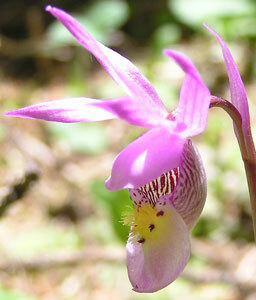 In 1753 it was described by Linnaeus who named it Cypripedium bulbosum. 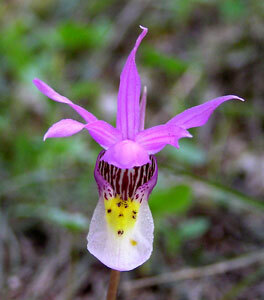 William Oakes (1799-1848) renamed it Calypso bulbosa in 1842. 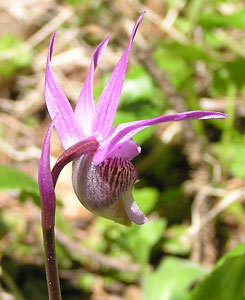 A number of photographs on this page were taken in Montezuma County, Colorado, and they constitute new records for that county. Calypso, the daughter of Atlas, lived a solitary life on an island where she made life very sweet for the occasional sailor washed up on her shores. 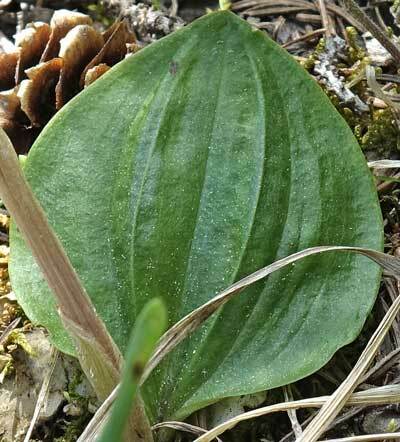 this (or any other) wild plant. 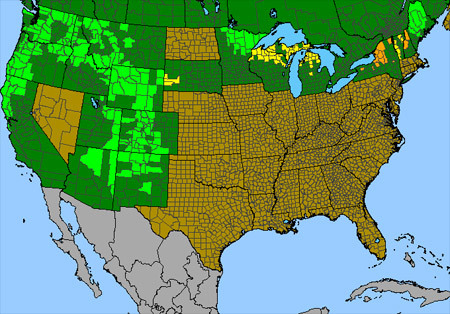 Purchase plants from legitimate plant nurseries. 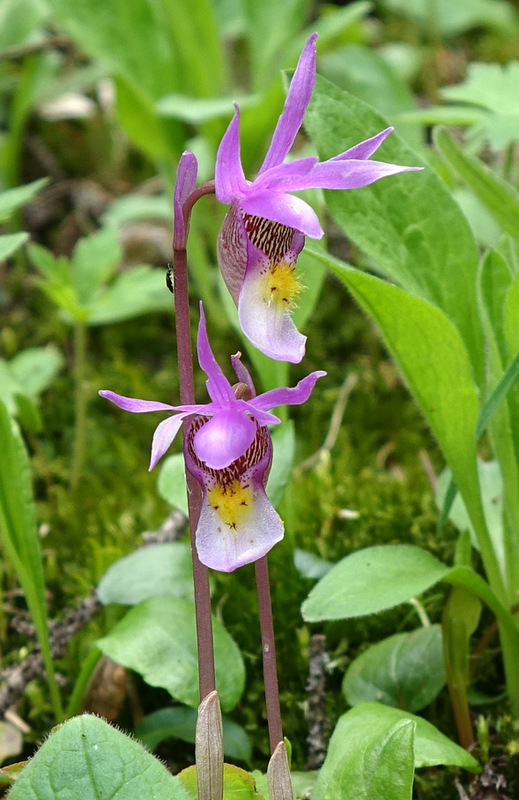 For more information on Colorado Orchids, click for Scotty Smith's "Orchids of Colorado". 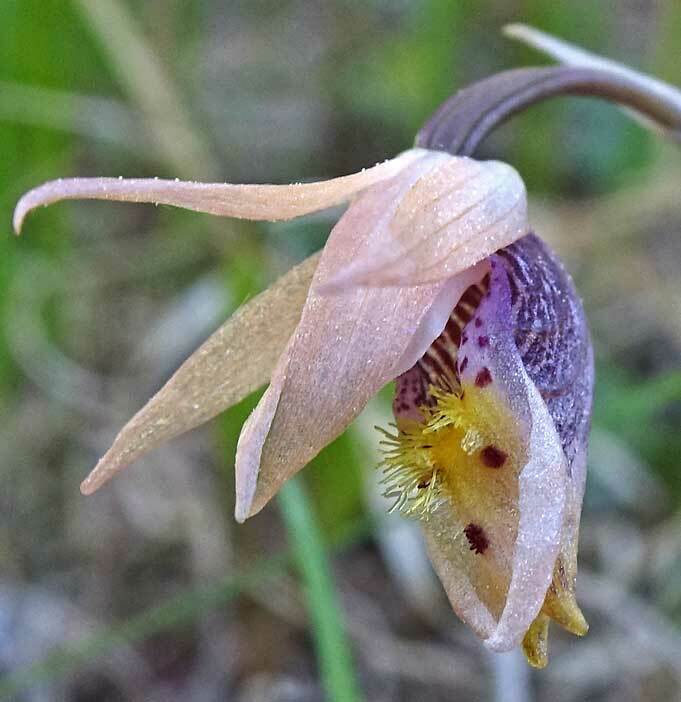 Scotty's widely praised article includes photographs, line drawings, and descriptive information.